Having a great guide can truly make a new place come alive. Our talented team of guides (including sommeliers, educators, and chefs) are excellent storytellers, passionate foodies, wine and craft beer lovers, and local ambassadors who are dedicated to helping you discover Hungary. We are forever learning new things from them, and we are sure you will enjoy their company and their wealth of knowledge about local history, food, and wine. Gábor grew up in northwestern Hungary, and started traveling as soon as he could—exploring France, studying in Spain, working on a ship in the Caribbean, and tending bar and waiting on tables in New York. When he returned to Hungary, he again fell in love with his native cuisine and the emerging quality wine scene. 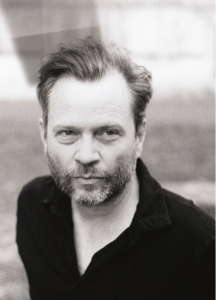 He holds a Master’s Degree in Spanish linguistics and literature, and was a translator and interpreter in his previous career. He holds a Level 3 WSET certification, and takes every chance he can get to travel to different wine regions. He is an avid runner, and he is at work on a research project involving the Jewish history of Tokaj. Gábor is committed to increasing the profile of wine tourism in Hungary (and the larger region) and has spoken about entrepreneurism, wine tourism, and Hungarian food and wine to audiences including the Zingerman’s, Digital Wine Communications Conference, the Rotary Club, the Balassi Institute, the Bor, mámor, Bénye Festival, the Ecole Supérieure des Sciences Commerciales d’Angers, and the International Wine Tourism Conference. He is also a proud member of the Confrérie de Tokaj (the Tokaj Wine Guild). Carolyn is the author of the culinary guidebooks Food Wine Budapest (Little Bookroom) and the Food and Wine Lover’s Guide to Hungary: With Budapest Restaurants and Trips to the Wine Country (Park Kiadó). After spending years researching and writing her culinary guidebooks, Carolyn and Gábor founded Taste Hungary in 2008 with the intention of sharing their passion for Hungarian food and wine with like-minded travelers who seek to experience the region’s authentic flavors and experiences. 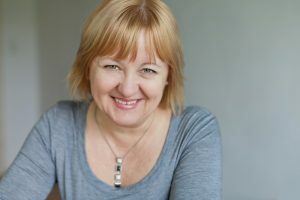 Carolyn has also written for dozens of international magazines and newspapers including Saveur, Explore Parts Unknown, Afar, CNN.com, Frommer’s, Gourmet, Gastronomica, Olive, and The Globe & Mail. Carolyn studied journalism at NYU, holds a culinary school degree, and is currently working on her WSET Diploma. She is a member of the International Association of Culinary Professionals, the Global Food Tourism Association, and the Confrérie de Tokaj (the Tokaj Wine Guild). She never tires of exploring Budapest, and traveling throughout the Central and Eastern Europe. Visit her site to read some of her articles. Carolyn is also the editor of Taste Hungary’s blog. Cabernet franc, Furmint, aszú, Somló whites, pezsgő, etc. Tamás studied agricultural mechanical engineering in university, but instead followed the path of travel and wine. His passion for wine led him to winery jobs in California and Australia for several years, and then to jobs at various wineries in Hungary. He entered the world of wine retail when he moved to London and spent six years in management at a leading nationwide wine retailer. Tamás moved back to Hungary in 2012 to re-discover the blossoming Hungarian wine scene. He holds a WSET Level 3 certificate, and when not drinking wine, he spends lots of time cycling along the Danube, hiking in the Pilis hills, and fishing. Tamás is a former restaurateur, and an amazing chef. He works as the personal chef at the Portuguese Embassy during the day, and we are lucky to have him as our private chef for our events and special dinners. Tamás previously worked as a pastry chef in Paris, as a chef de partie for the Admiral Agency in London, and as the personal chef for the Angolan Embassy in Budapest. 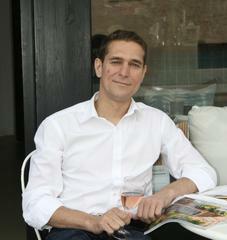 In Budapest he has also owned his own restaurant, and has helped build other restaurant projects. He enjoys doing different things to keep his skills fresh, including menu design; doing food styling for television shows, photo shoots, and commercials; cooking privately for clients; and cooking at a busy little winery in the Mór region. When Tamás designs menus and cooks at the Tasting Table, we are happy to have him transform it into his own little restaurant. Hajnalka is an online marketing specialist and her main areas of expertise are content marketing, lead generation and marketing automation. 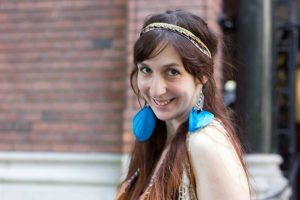 She is also the founder of Budapest Local, an online magazine with engaging digital content about Budapest and with free guides and recommended tours and accommodations to help travelers make the most of their trip. 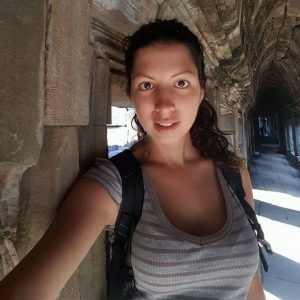 Hajnalka is also the Budapest chapter leader of Travel Massive Budapest, a global movement connecting people in the travel industry locally. Kata grew up in Győr, where wine and gastronomy played an important role in her life. Her family has always worked in the wine business, so it’s no surprise that she also followed this path. After studying commerce and marketing in Budapest, she began her nomad life abroad by first wandering all around Italy. She then began the Erasmus Mundus master’s degree program on Wine Tourism Innovation (WINTOUR) through which she got to live in four countries within 2 years, with field trips to the most famous chateaux in Bordeaux, small family owned wineries in Priorat, modern cava houses in Penedes, and the steep vineyards of the Douro Valley. She is determined to learn from these experiences to improve Hungary’s wine tourism. In her free time, Kata likes to cook and bake, hit the road with her friends, and post to her Instagram account which focuses on Wine Tourism (Vinopassport). Szabolcs recently moved back to Hungary after living and working in England for seven years. He studied at a catering and hospitality school, and has been working in restaurants and hotels ever since. In England he had a chance to get experience working in a range of restaurants, including French, English, and Asian. Szabolcs’ love of wine was cemented when he had the chance to visit the Champagne region—when he worked a harvest—where he also fell in love with the wine lifestyle. In his free time Szabolcs likes to visit new wineries and wine regions to discover different cultures and enjoy new cuisines. He is presently working at his WSET level three certification. Lilla is a native Budapester who accidentally got into the wine world after landing a job at a wine bar. The more she tasted and learned, the deeper she dug herself in. 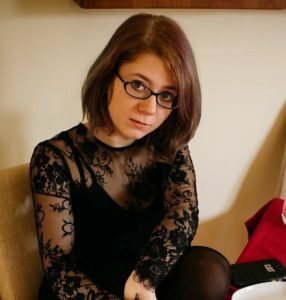 In addition to working at The Tasting Table, Lilla is a student at the University of Agriculture in Budapest, in the Faculty of Food Engineering. Determined to combine her studies with wine, she’ll be specializing in food commerce and winemaking. In her free time Lilla loves to explore wine regions in Hungary, and beyond. Her favorites are Tokaj for whites and Eger for reds (particularly the Bull’s Bloods). She also loves to visit Lake Balaton (especially for the the Kistücsök and Márga restaurants), and hang out with her dog in her spare time. Life is better with a glass of wine, but even better with a dog. Mary hails from Alabama but has lived in Europe for 30 years. She studied International Relations and German Literature at the University of Alabama. While studying in Germany on a Fulbright Scholarship in the late 1980s, she felt drawn to head farther east. She spent time in St. Petersburg learning Russian, and a few months after the Iron Curtain fell, she landed in Budapest, where she met her future husband. Mary had a rewarding career in IT sales working for IBM and later for the software subsidiary of Euronet International. Later, she spent much time volunteering as a charity fundraiser, organizing popular food festivals and charity galas. Mary is an avid traveler who loves sampling the cuisine wherever she travels, and then interpreting it in her home kitchen. She loves to cook, bake, and entertain on a grand scale. In her free time, Mary drinks a lot of coffee. Mary was the first “Taste Hungary Groupie”, and has been one of our most enthusiastic supporters since the very beginning. We’re happy to have her onboard working with us to build our local partner network. 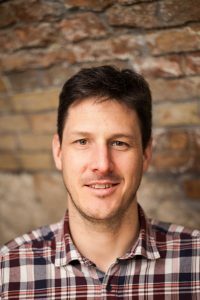 Robert is a Budapest-based wine journalist, writer, communicator and translator. He is the author of Hungarian Wine: A Tasting Trip to the New Old World (Blue Guides, 2015). He has been been covering wine for more than 15 years and writes on Hungarian and international wine for the Budapest Business Journal (BBJ), Winesofa.eu, VinCE Magazin, Wine Pleasures, and Wine Paths, among others. He is also the deputy editor of the Circle of Wine Writer’s The Circular. Robert also edited David Copp’s Hungary: Its Fine Wines and Winemakers and contributed to the same author’s Tokaj: A Companion for the Bibulous Traveller. He holds the WSET Diploma and Advanced certificates from London’s Wine and Spirit Education Trust. He regularly judges at Hungarian and international competitions, translates wine text from Hungarian to English. Rob guides wine tours for Taste Hungary, runs tastings at The Tasting Table, and writes tasting notes for our wines. Angela was born in a small town in Transcarpathia (a region which was part of Hungary until the end of World War Two) to a Hungarian mother and Ukrainian father. She always dreamt of living in a big city, and moved to Budapest after completing her university studies. She has been in love with Budapest ever since. Angela is passionate about Hungarian wine, and has a WSET level 2 certificate. Angela has been a keen book-lover all her life, with an insatiable interest in the diverse culture, history, and architecture of the “Paris of the East.” When she strolls along the streets of Budapest, she has her head up admiring the beautiful facades of the buildings. After having spent many years working for international companies, Angela decided to follow her true calling, tour guiding. She leads food and wine tours, and occasionally holds wine tastings at The Tasting Table. In her spare time Angela likes to bike in City Park and swim in the Széchenyi thermal bath complex. Barbara is a Budapest native whose preferred mode of transportation is her bicycle. Her passion for food led her to the College of Catering and Hotel Management in Budapest. She has spent time living in Italy, and fully immersed herself into the culture there by working in restaurants and bars. She did not at all mind the research that it took to write her thesis on Italian gastronomy! 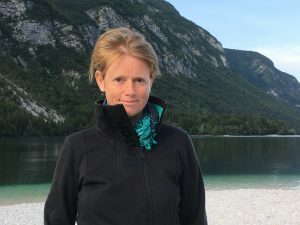 When she is not leading our walking tours, Barbara can also be found guiding tours by bike, or sitting in cafés writing restaurant reviews for a local web site. 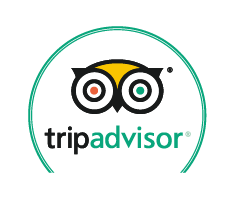 György has a passion for fine wines, good food and great adventure travel. He is rooted in many (culinary) cultures, as was born in China, and grew up in Japan, Australia, and Hungary. His Chinese mother learned to make perfect Hungarian meals, which are still remembered many decades after enjoying them. For György fusion (but not confusion!) cuisine is not a matter of new wave fashion, but the tradition that he received at home. He is experienced in travel and hospitality, and is also a seasoned storyteller. He has spent several years preparing official state and diplomatic events and functions. When not leading tours, he is researching Jewish traditions and social and family history in Hungary. Anikó grew up in Budapest and spent summer vacations in the Tokaj Region, where her family owned a vineyard. Her passion for food began early in her grandmother’s kitchen, where she spent her childhood feasting on homemade jams and pastries. It continued during her travels throughout the world. And when she lived in France, she realized that experiencing a country’s cuisine is the best way to get to know its culture. Anikó spent many years working as a lawyer, but was always passionate about pursuing her hobbies of history, art, and travelling on the side. Now she is a dedicated tour guide, helping guests discover the secrets of Hungary, France, Italy, and Transylvania. 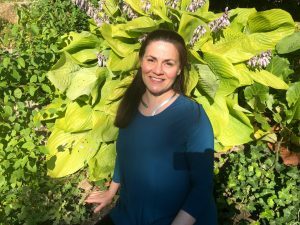 When she is not leading our walking tours, she enjoys cooking, browsing her grandmother’s old recipe collection, hanging out at Lake Balaton, and teaching yoga for children. Orsi was born in Budapest, but has traveled (and lived) around the world. She lived in Moscow for two years as a child (at the time of the Soviet Union), and also in Guatemala and Spain (where she worked in bars, restaurants, and art). Orsi has been working as a tour guide for four years and loves showing Hungary to anyone comes to explore it. 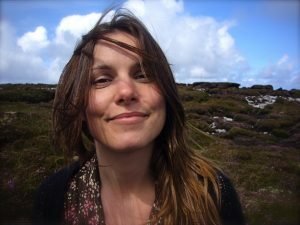 Her interests are wide-ranging and include Jewish Studies, art therapy, Holocaust education, and social work with migrants. She loves music, history, arts, food, and travel … especially new details and hidden places. When not guiding tours, Orsi is into photography, especially photographing interesting pieces of street art (which she consider part of urban culture). She plays water polo, and really likes food experiments such as making raw cakes, balcony gardening, and cheese-making. Szabi was born in a Hungarian region of the former Yugoslavia to Hungarian parents. After he finished university in Hungary, he moved to England and lived in London for seven years. Szabi attended the International Butler Academy in The Netherlands, and then spent four years working as a butler for VIP guests at one if the most prestigious hotels in London. 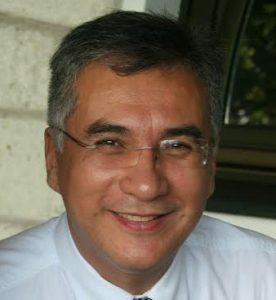 He worked at the 2012 London Olympics as a butler and restaurant manager. 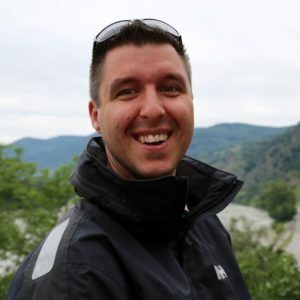 Szabi returned to Hungary in 2014 and has been working as a local guide since then. Zsófia is an artist, photographer, food writer. 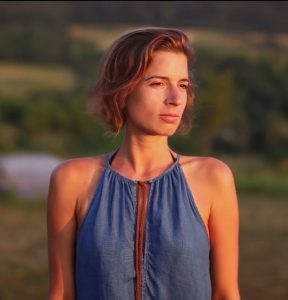 She is the founder of an urban foraging community project, Collective Plant, which organizes workshops and foraging hikes in Budapest, with the aim to bring urban people closer to nature. She holds walks and workshops in Budapest and internationally. 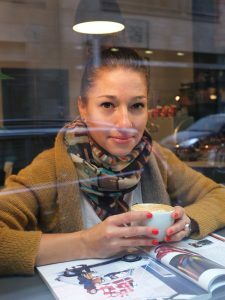 Zsófi writes about food, culture, and travel for magazines such as Marie Claire and Dining Guide. She loves good coffee, learning about herbs and tea, hiking, cooking, traveling, and connecting food with the arts and design. She has published a foraged food cookbook and a Turkish-Hungarian cookbook, and edited several others. When she cooks, Zsófi is inspired by places where she has lived: South America, India, Turkey, and Portugal. Tamás is a librarian and a tour guide, whose passion is food and wine. He lived in different parts of England (Cornwall, Surrey, and Oxford) for many years before returning to Hungary, and he loves combining food, wine, culture and history. He loves traveling and exploring different wine regions and wineries. His personal favorites are the Tokaj and Somló regions. 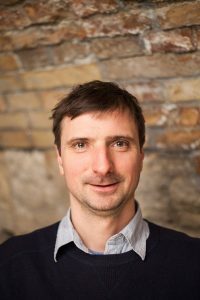 Tamás holds a WSET Level 3 certificate (and is considering working towards the Diploma!). He is an omnivore, who loves every many different types of food experiences,, from tasty street food to meticulously prepared Michelin-starred meals. He’s also a cook, who specializes in preparing soups and desserts, and is happy to discuss recipes. Inspired by the first Hungarian craft beer festival, Tamás has spent the past seven years learning as much as he can about craft beer … and also tasting as much as possible! 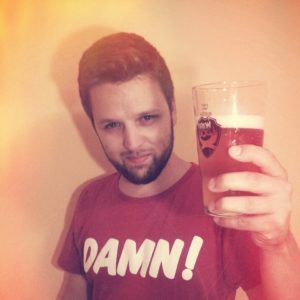 Tamás is a home-brewer, beer blogger, a full-time craft beer marketing manager, and a beer tour guide. His passion for beer led to him having one of his homebrews turned into the house beer of a Budapest craft pub, and his new line of beers will come out this fall. 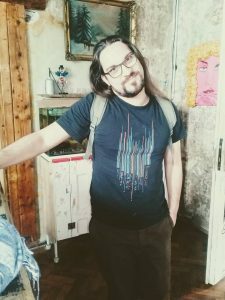 When not guiding or tasting, Tamás enjoys running with his beer-running club (the international Mikkeller Running Club), biking, eating, history, and being a tourist in his own town. György (or the more pronounceable, George) has been a wine enthusiast from a young age. When he was a teenager he helped out in a small family vineyard, which over the years became a passion leading him to work with wine in international restaurants and hotels. 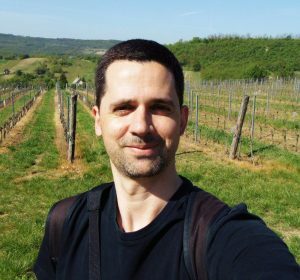 György has the WSET advanced certificate, and is working towards the diploma. His work experience in the wine trade combined with his passion for raising awareness of Hungary’s wine heritage in the UK, led him to start his own business, called Danube Wines, importing and selling Hungarian wine to the UK market. Both through his business and his wine tour guiding for Taste Hungary, György’s goal is to make wine enthusiasts excited about Hungarian and to leave them as passionate about Hungary’s food and wine as he is—if only for a few hours while enjoying a nice glass. Bálint spent his childhood in a small town in the wine region at the foot of the Mátra hills. When he moved to Budapest many years ago to study sociology, the beautiful city trapped him. He is inspired by discovering unknown places, and is obsessed with walking the streets downtown and cycling in the outskirts of town. He interacts with different continents on a daily basis via their cuisine, and he loves how trying new foods makes his days more colorful and full of surprises. But nothing compares with the excitement of scouring the market for fresh ingredients for Sunday lunch, and coming home with the most precious marrow bones for the húsleves (meat soup). 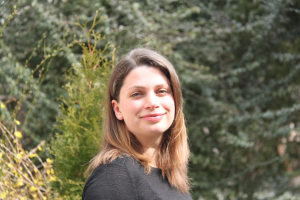 Eszter was born and raised in Budapest in a reform Jewish family. She has spent time living abroad, first in Ireland and then later in Wales. But she still thinks it is hard to find better food than fresh Hungarian fruit in the summer, or a plate of Hungarian layered potatoes during the winter. She studied history and archives in university, and she loves putting food in the context of history and culture for her guests. Since Eszter has many foreign relatives, she has long enjoyed showing guests Budapest’s food and its culture … since it is hard to separate the two of them. Éva grew up Eger, a town with a deep history, beautiful nature, and a deep wine culture. Though everyone in her hometown thought she would become a musician or a writer, she instead studied catering and tourism. Eva has always had a never-ending curiosity of foreign countries and cultures, and has sometimes ended up living, studying, and working abroad as soon as possibilities presented themselves. However, her heart always pulled her back home. She even pulled her American husband back to Budapest with her, where they have settled to raise their two sons. She is driven to do what she loves, and to love what she does, including her career path. She has worked in fields from hospitality to the spa world, and even in fashion. She’s now an entrepreneur herself, when she is not leading our culinary walks. Dániel was born and raised in the Kőbánya neighborhood, the industrial eastern section of Budapest. He comes from a family of first generation intellectuals, with roots leading back to both the Great Hungarian Plain and the sunny southern part of the country — two regions which contributed to his taste in food. He studied architecture, mainly focusing on historical buildings and the urban landscape surrounding them (winding streets, busy squares, old houses, and hidden gems). He still loves to roam these streets day and night. Dániel enjoys old poetry and new trends, geeky culture and craft beer, but mostly the combination of these. He learned how to cook from a teenage love, and ever since he is keen to try new recipes, host dinners for his friends, and learn the cultural, historical, and human background of food and drinks. Endre was born and raised in Budapest, more specifically on the Buda side—which he prefers over faster-paced Pest. He has always known he would be a tour guide, which led him study at the Budapest Business School in the department of Catering and Hotel Management. 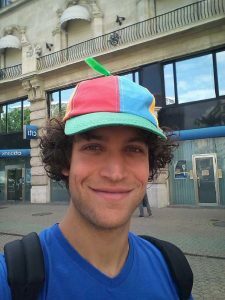 For the past seven years he has worked as a tour guide in Budapest, learning as much about people from all over the world as they learned from him. Endre also loves to cook, eat, and try new foods and has spent time as an intern and pastry chef at one of Budapest’s most renowned pastry shops. Since these baking days, he has become an automatic critic of cakes whenever he tries them (and naturally, he knows the best places in town to eat sweets). 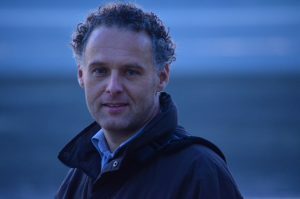 Endre is Jewish on his mother’s side (though they are not religious), and loves the family’s matzo ball soup and sólet. He bakes flódni, but is practically a professional when it comes to baking Christmas beiglis (he prepared 300 and sold them all one year). Endre mainly guides our Jewish Cuisine & Culinary Walk and is currently learning Hebrew in his spare time, and is training to become an official guide at the Great Synagogue. 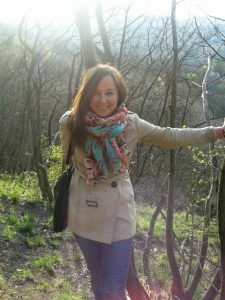 Anna was born near Lake Balaton, has studied in Holland, and has spent time working in Spain. 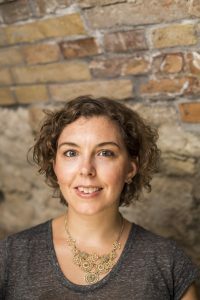 But she is passionate about her adopted city, Budapest, and has immersed herself in many different Budapest themes over the years since she has been guiding tours here. Anna regularly leads our Jewish Cuisine & Culture Walk, having become interested in Judaism after learning that her grandma was Jewish. 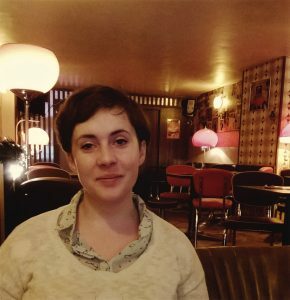 Anna is also passionate about 20th century history, and applies her sociology studies, to the tours which she leads on the Buda Castle and Communism. She has roots in the Hungarian paprika regions of Szeged and Baja, and believes that experiencing a country’s cuisine is a great way to get to know its culture. Fanni is passionate about Budapest’s Jewish District, and loves showing guests the special spots which she is connected with through her previous work with her husband running a theater in the neighborhood. She spent so much time discovering all of the neighborhood’s charms and quirks, from the great places top eat and shop, to its complex stories. Fanni comes from a family of food and wine lovers. Her brother is a winemaker in Tokaj, where she likes to go and help with the harvests and learn about the production. Her mother was a food journalist and cookbook writer. Fanni loves baking, and also experimenting with fermentation and sourdough making. When not guiding tours, she is a sociologist who works with children, and a climbing instructor who works with kids with special needs. Tibor lives in Budapest with his wife and kids, but Tokaj is his home region, and is where the rest of his family still lives. Growing up in Tokaj he learned lots about winemaking, particularly from his uncle, who is a winemaker. Despite his passion for Tokaj wine, Tibi—our driver extraordinaire—is the only one on the Taste Hungary team who you will never see drinking a glass of wine since he’s always behind the wheel. When he’s not driving guests on our wine tours, Tibi loves travel and biking. 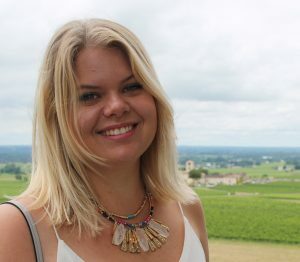 Emi guides wine tours for Taste Hungary and works at The Tasting Table. After earning a degree in Food Science in Budapest, Emi accepted an internship at Chateau Ste Michelle winery in Washington state, where she first fell in love with the magic of winemaking. Her desire to learn more about the world’s great wines had led her beyond Washington to work with wine in Australia, California, and Hungary. After many years of living and working in Napa Valley, Emi moved back to her native Hungary and completed her WSET Level 3 certification. In her free time, she enjoys hiking and biking with her husband and two small children. Matt grew up on the North Shore of Chicago. He received a literature degree from Bennington College in Vermont before buying a one-way ticket to Prague (then, of Czechoslovakia), where he tended bar at the first Western pub in the city, an experience he would later draw upon for his first novel, Keeping Bedlam at Bay in the Prague Cafe. Before relocating to Budapest he worked in many capacities from barista at Starbucks to the editorial department of Doubleday & Co. He kick-started his own writing career as a food journalist at the now defunct chew.hu and continued to write about culture and cuisine for publications like Vice’s food channel Munchies, alongside his career as a conventionally published fiction writer. For several years now he has run a local writers’ workshop, the Budapest Writers’ Lab. Visit his site to learn more about his work. Sára was born and raised in Budapest, with family roots leading back to the Eger wine region. That’s where she picked up her love for wine and traditional food. Sára is passionate about baking all kinds of cakes and pastries, from the humble pogácsa to fancy speciality desserts … making her friends and family happy and full. Her skills in baked goods were further enhanced by several training programs and internships at local cake shops, giving her a wide and flexible knowledge not only about the history of sweets, but also the technical secrets and contemporary trends. Baking is equally a relaxation and an experimentation for Sára, a quest for achieving perfection in the small details. She is talented in languages, and sees them as gateways to learn about new cultures, habits and stories. Sára enjoys quirky novels, all kinds of geek games and trends, and cultural history. Elza has been discovering Budapest’s secrets throughout her whole life. Born and raised in Budapest, she studied art history and communications while at university. During her childhood, her mother took her on frequent Budapest discovery tours in her hometown, introducing her to the capital, its history, and its art. 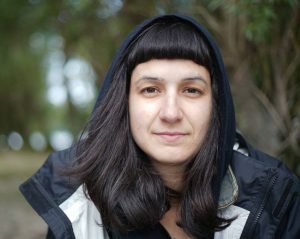 Since then, she has been passionate about discovering Budapest’s ever-changing face, and feels lucky that it is her job. She sees Budapest as a melting pot of traditions, food, classic and ancient art and architecture, and contemporary art and fashion. She loves introducing people to these faces of Budapest, and its still-forming history. In her free time she like to cook, eat and travel. 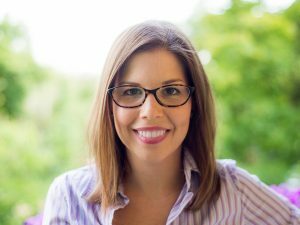 As specialty coffee expert and a culinary enthusiast, Andi’s interests lie mainly in the farm to table ethos, seasonal eating, and the historical and ethnic background of dishes and diets. Originally a journalist, Andi’s interests in Hungarian and international food began with her involvement in Budapest’s early specialty coffee movement. But her passion for regional Hungarian food and its history stems from childhood experiences of growing and foraging for seasonal foods with her parents and grandparents. 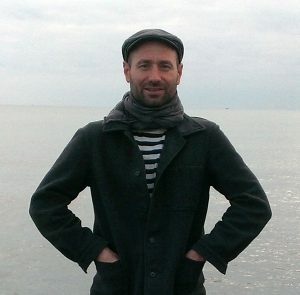 Born and raised in the countryside, Andi moved to Budapest in 2008. She always loves to bike in the city (with the exception of winter), which in her eyes is not only the most effective, but also the most sustainable way of transportation. When she’s not in a hurry, she can also slow down to gaze at the city’s luscious architecture, each time noticing newer and newer details on the same old buildings. Andi’s other true loves are travel and visual art. She’s a passionate travel photographer, dedicated not only to digital snapshotting, but also for analogue photography. Sebastián is both Colombian and Hungarian. 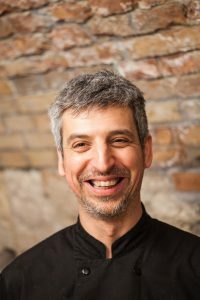 He trained at the Gundel Károly catering school in Budapest and has worked for several high-end restaurants and hotels in Hungary. 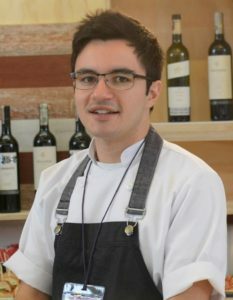 He has been a jury member on Colombian Master Chef, and in Colombia he runs a catering business called “WineCatering.” Sebastián has also worked as a culinary and oenology instructor in Mariano Moreno Culinary Institute and at Club el Nogal in Bogotá. 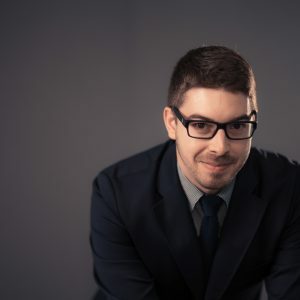 He is a Certified Sommelier from the Court of Master Sommeliers (currently working to obtain the Advanced Sommelier certification), a Certified Specialist of Wine (CSW) from the Society of Wine Educators, an advanced certificate holder from the International Wine and Spirits Institute (IWS), and certified on the WSET advanced level. A long-time Budapest resident, Sue spends her time writing, translating, and telling people about wine. 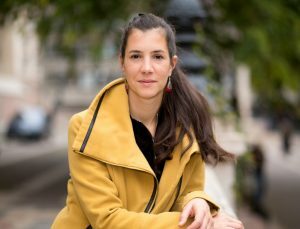 Her degree in French and Italian imbued her with wanderlust and itchy feet sent her off to live in Hungary, Poland, Italy and Germany, and then brought her back to Budapest. Friday afternoon wine classes at Bordeaux University are perhaps responsible for her transformation into a wine lover. She holds the WSET diploma and is a Wein Akademiker, Vinitaly Italian Wine Expert and committee member for the Circle of Wine Writers. She judges at Hungarian and international wine competitions, including International Wine Challenge and Berliner Wine Trophy as well as being Panel Chair at Vinitaly’s 5StarWines. 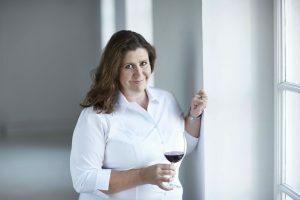 While not writing for winesofa.eu, where she is Managing Editor, translating or editing articles and books, or holding tastings at the Tasting Table, she can often be found nosing around vineyards and wine cellars or swimming at Széchenyi or Lukács thermal baths. Christian was born and raised in Geneva, Switzerland, and lived there for 30 years until he decided to pack up his family and move to Budapest. He had been visiting the city his whole life, as his parents are Hungarian, and grew up speaking Hungarian at home. 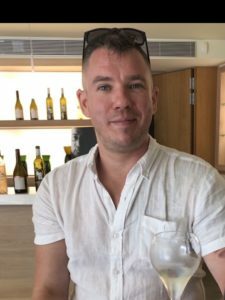 Christian studied law and economics and worked in the insurance industry until he decided to switch careers and follow his passion for wine, particularly Hungarian wine. 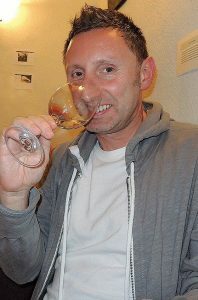 He is looking forward to further exploring Hungary’s wine regions now that he is based in Budapest. Lilla grew up in a small town in the countryside which is most famous for its fish soup (halászlé). Lilla moved to Budapest to study languages and tourism and has been living here for more than ten years. 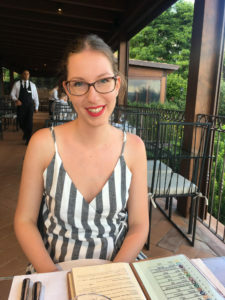 She has also spent time living in Italy and France, which she credits to making her more open-minded and always eager to discover new countries and new cultures. She sees food and gastronomy as one of the best ways to learn about a country, and she’s also a big fan of extreme sports … always up for adventures! Lilla is also passionate about good food, cooking, and visiting with local producers at farmers markets. Ever since she decided to take a break from sightseeing during a trip to Thailand, and instead attended a cooking class, Lilla has been a big supporter of culinary tourism. She loves sharing this great part of Hungarian culture with travelers, helping them enjoy our city and food like locals do. Polika has been guiding tours in Hungary, as well as other Central European countries, since her early twenties . She has also spent time living in Belgium, where she fell in love with French cuisine, and in Italy, where she immersed herself in Italian cuisine and wines. Polika has completed the WSET level 3 course and is now attending the WSET Diploma Course at the Weinakademie in Austria. A love of cooking runs in her family, and one of her most prized possessions is a self-published recipe book by her mother, which was a gift for her 18th birthday. Celina hails from a small village in Bacau county, Romania. It is located in the foothills of the Carpathian Mountains, within the historical region of Moldavia. She worked as a seamstress for years before moving to Hungary with her family in 2006. She quickly learned Hungarian while working in the Lehel market in District 13. 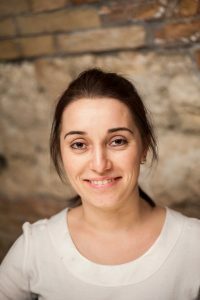 Since joining Taste Hungary in 2014, Celina has become an indispensable part of the Tasting Table team acting as assistant to the sommeliers and sous chef. She is a devoted mother to her two young daughters and spends her free time taking them on excursions around the city. Stuffed Cabbage ... Romanian style!